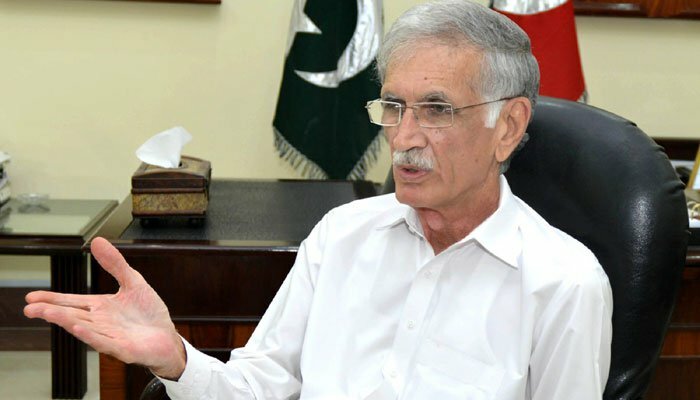 PESHAWAR: Khyber Pakhtunkhwa Chief Minister Pervez Khattak has said that reforming the governance structure was not an easy take to do but they had a matching commitment and generated the right kind of approach and strategy to translate the reforming of whole governance structure in the province. He said that his government kept on making legislations giving legal cover to all the reforms for all time to come and the people would keep on receiving justice and their right through an inbuilt institutionalised mechanism. He was presiding over a cabinet meeting that made a number of decisions and offered fateha for the departed soul of father of Finance Minister Muzaffar. Chief Minister Khattak reminded that the consistency and durability of the just and uniform approach for the delivery in all public sectors and institutions, required support and the right kind of legal cover that his government did in the province. He said that his government today legally banned corporal punishment in the schools of the province. He said that the previous protection in this regard was further improved and the act was cleared by the provincial cabinet today. The chief minister asked WAPDA to immediately release its share of Rs 22 billion on net hydel profit. He said that the province would put on ground the overall design of improved educational facilities including training to 83 thousand teachers and improved schooling facilities in the province. He said that his government would never compromise on the standard of education, the concept of the reward and punishment would continue because education in the public sector was meant for the poor and the strengthening of educational system would determine the future of the nation. He said that his government had a number of reforms, an ideal environment for the teachers. He asked the teachers to match their commitment through their efficient delivery in their respective institutions. The chief minister said that the merit criteria laid down for the recruitment of permanent managing director for a period of three years was a good step and the process should be carried out within the legal framework and the laid down procedure of the State Bank of Pakistan. The cabinet approved the developmental fund of the district Charsadda. The chief minister directed for a uniform, transparent and just distribution of resources in the district. He directed against any substandard solarization and street lights etc. A standardised solarization in all TMAs, schools etc should be ensured, he directed. Khattak said that the decision amending the civil procedural code by his government for the settlement, completion of all civil cases was a good decision and pro poor initiative. Under the law, all the civil cases would be decided within one year. The chief minister said that his government had already sent certain recommendations for amendments in the criminal procedural act and hoped that it would be taken with the same spirit what his government did in the civil procedural code in the province. He appreciated the Chief Justice of Pakistan for initiating the speedy justice system. He directed for accelerated work on BRT and provision of buses in time. All the BRT activities should go speedily. It is the speediest track with improved and multiple commuting facilities, he said. He said that the provincial government would not subsidise the project, it is a resource generating project and would stand on its own feet. Therefore, the negative propaganda against it is uncalled for, he added.